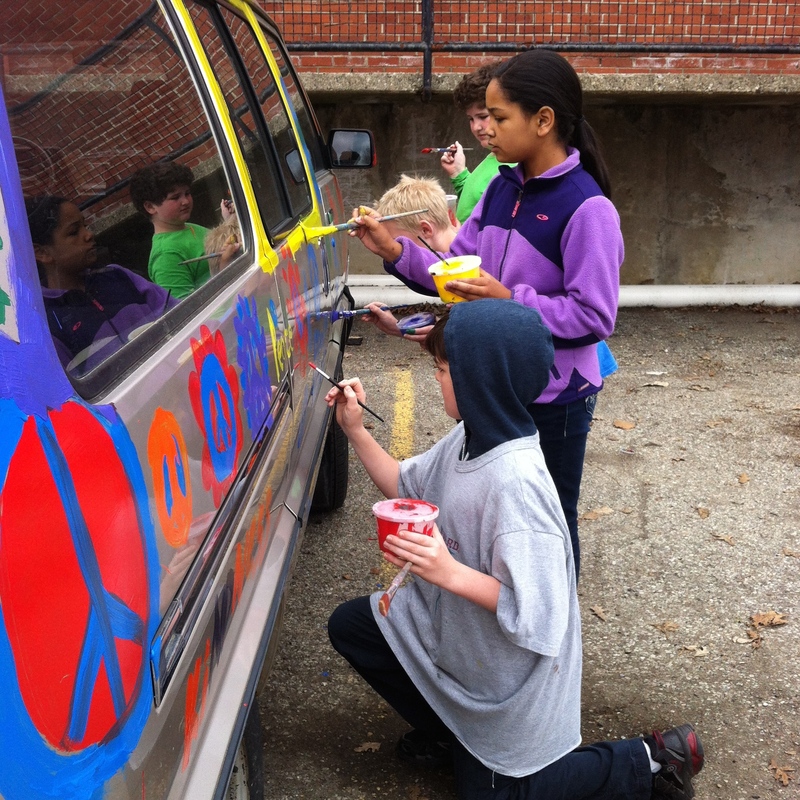 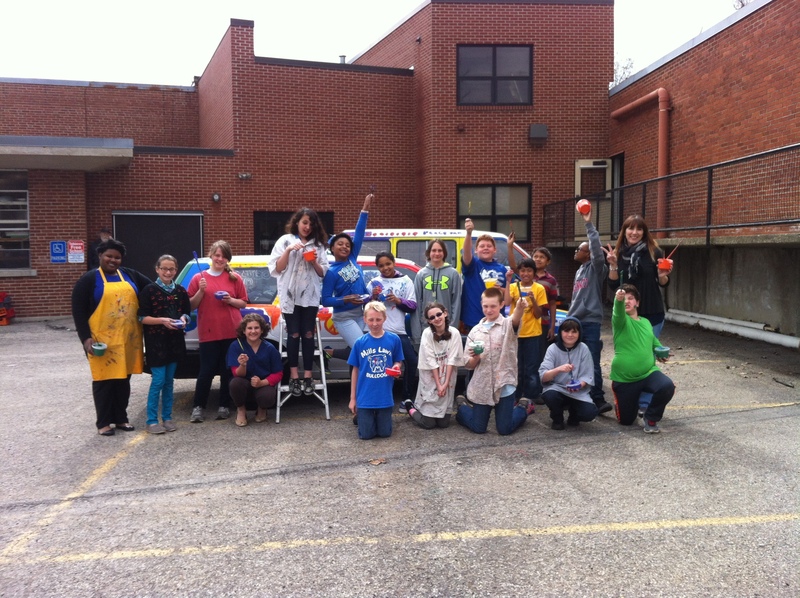 During Art with Mrs. Minehart and Ms. Stevens, fifth grade students have been painting a peace car and van. 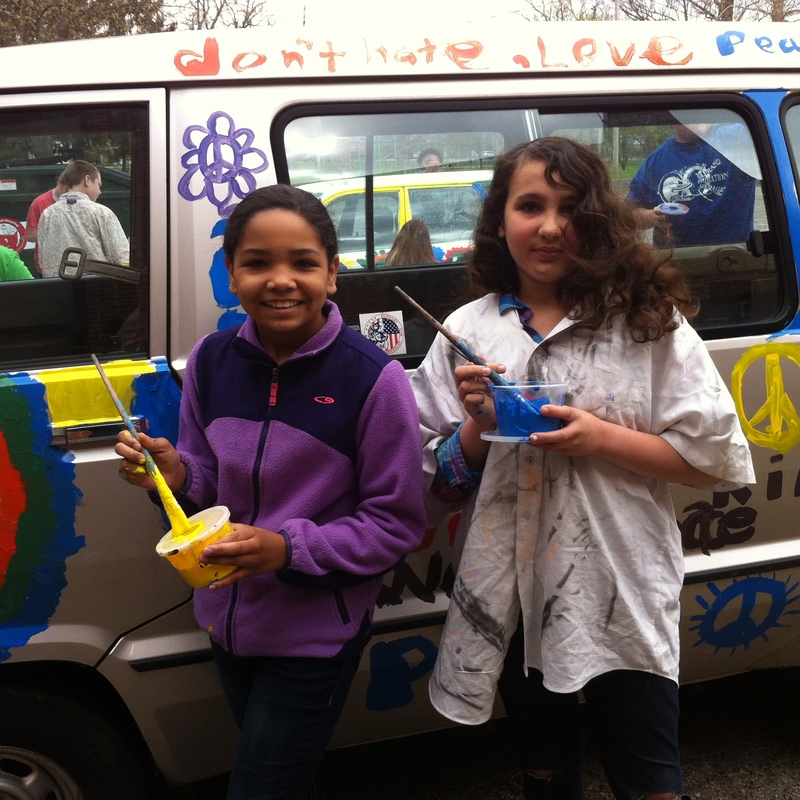 Inspired by the Kindness Bus that recently visited Yellow Springs, students are painting rainbow colors, peace signs, and messages of peace on a van donated by Karla Horvath and a car donated by Joe Ayers. 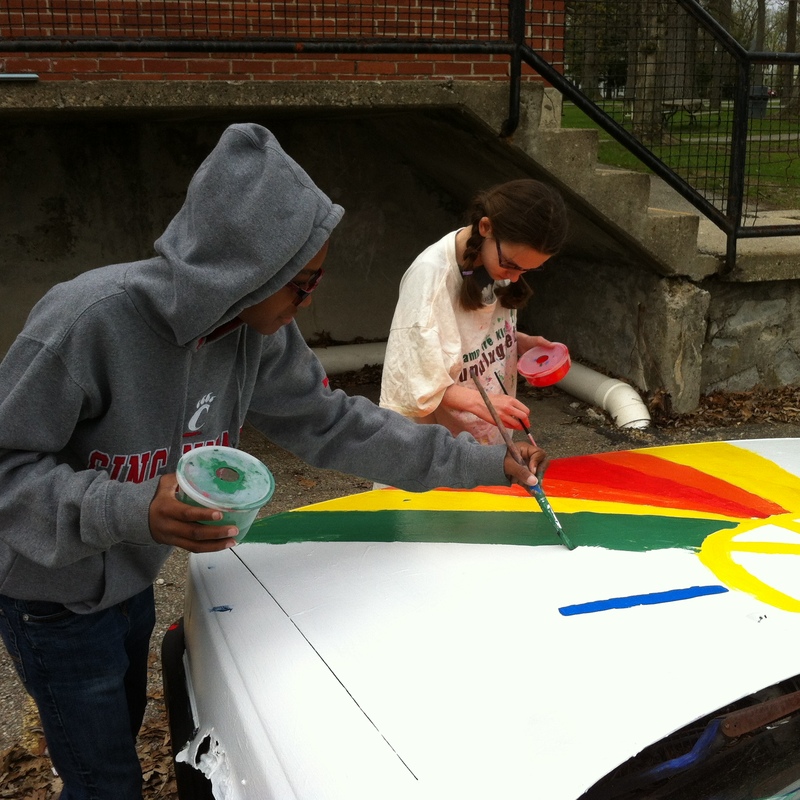 The station wagon that Joe Ayers owns has over 350,000 miles and was previously owned by a parent at Mills Lawn who volunteered her car at least ten years ago starting the tradition of upper grade students painting the car each spring. 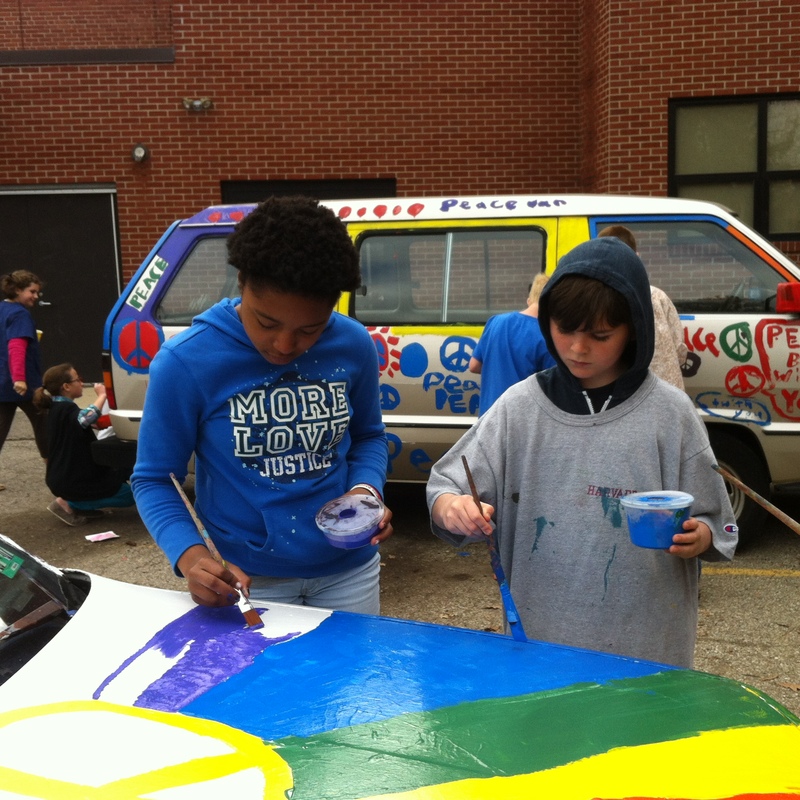 The paintings have ranged from Keith Haring inspired artwork to rainbows and this year’s theme of peace. 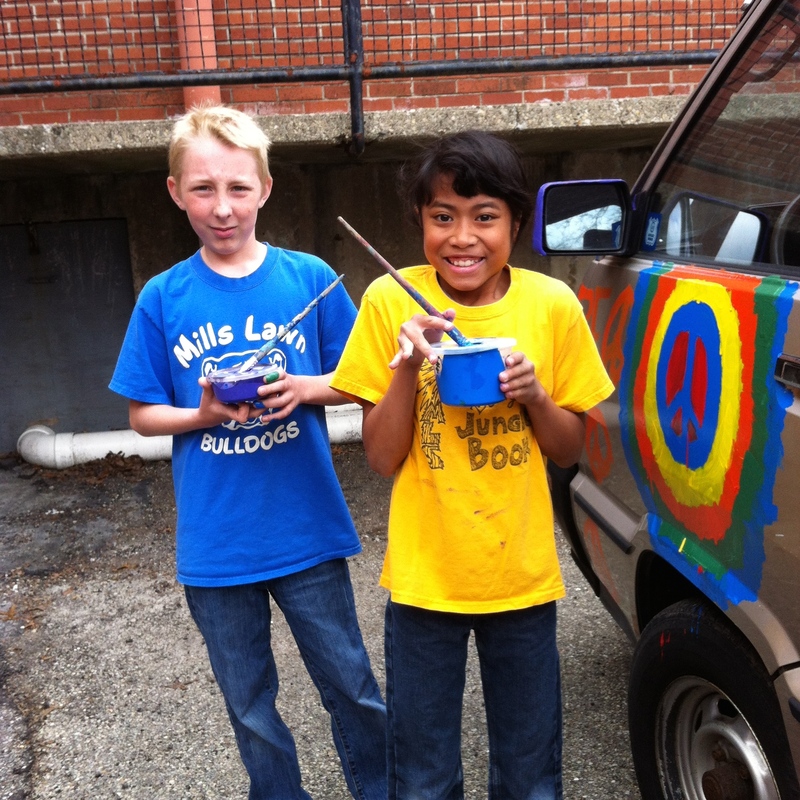 A big thank you to Karla and Joe for donating the cars as an exciting mobile canvas! 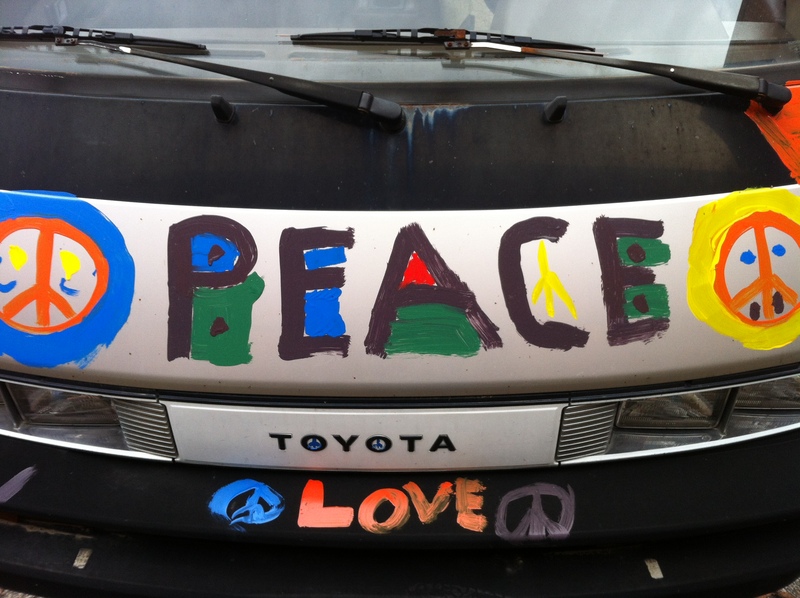 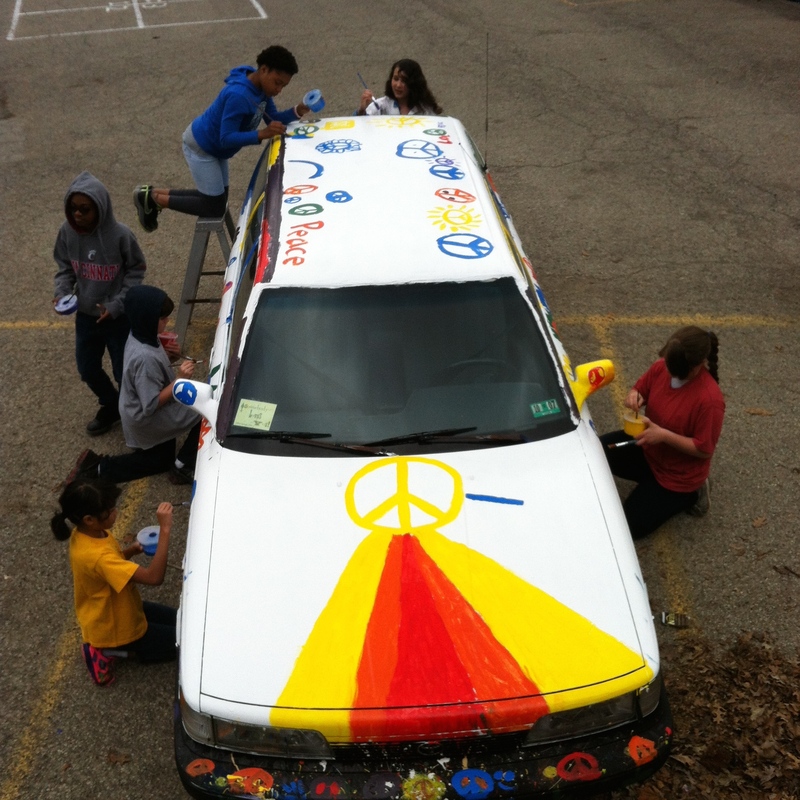 Check out what students have to say about this fun experience painting cars for peace! 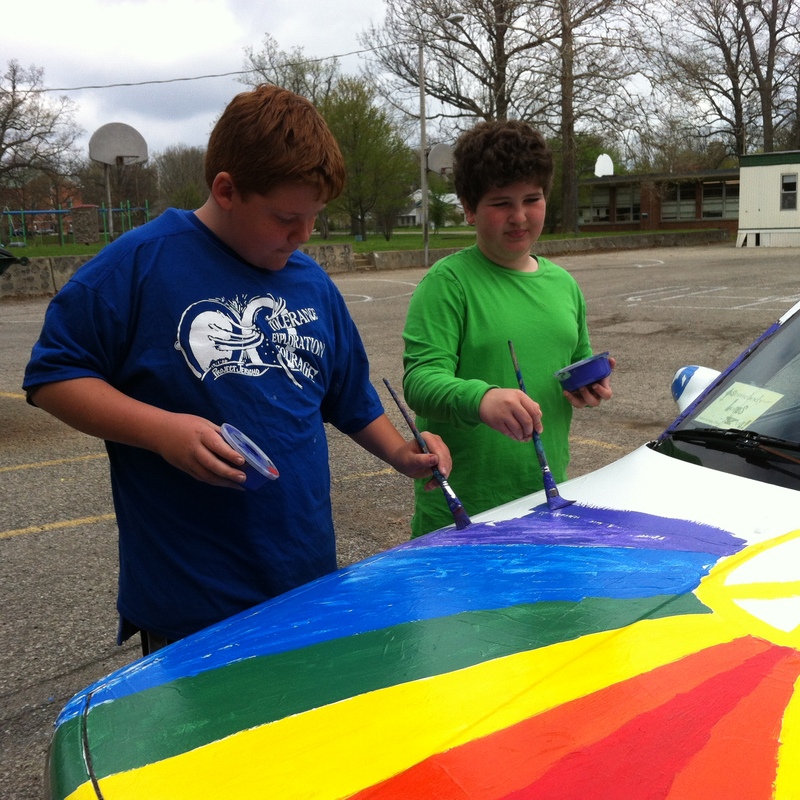 ← A little rain helps the garden grow!